All classes suitable for Beginners & 1st-timers! $15 for 1 class Buy 1 card . . . try ALL our classes! – No Discounts (1 class, $15) rate. Click here to make Payment with PayPal or pay with Cash, Check or Credit Card before class at the Studio. Make checks payable to Divine Yoga. Fees are non-refundable. All our classes are suitable for beginners. Go at your own pace, rest when needed, modify when necessary. Ask your teacher for modifications if in doubt. **SPECIAL NOTE: for the health of mother and baby, pregnant students may only participate in prenatal yoga classes. 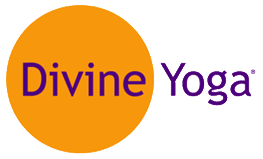 Currently, Divine Yoga does not offer prenatal yoga. Sunday, 10:30am – 12pm, Mini Yogashop with Amrit is an informative series of classes focusing on either The Chakras (8 classes), The Ten Light Bodies of Consiousness (11 classes), The Tattvas (5 classes) or Rebirthing (20+ classes). Beginner friendly yet, challenging, each class in a series includes lecture, yoga and meditations to balance and strengthen the Chakras, The Ten Light Bodies and the Tattvas concluding with Gong meditation for residual tension release, healing and relaxation at the end of each class. Complimentary Essential Oils and Yogi tea for liver and nervous system support included in this class. Monday, 9am – 10:15am, Kundalini Yoga Workout with Angela, All our workout classes are “go-at-your-own-pace” classes. Rest as needed, modify as necessary. With regular attendance, you’ll be amazed how good you feel. A workout class with Gong meditation at the end – you’ll leave feeling regenerated, very relaxed and tension-free. Stay after class for some of Angela’s healthy snacks! Monday, 12:00pm – 1:15pm, Kundalini Yoga Workout with Jamie. Go at your own pace, rest as needed and modify as necessary in this rejuvenating class which focuses on building muscle tone, endurance and stamina. Then heal as you release tension and deeply relax with gong meditation at the end. Great kick-start for your week! Monday, 6:15pm – 7:30pm, Kundalini Yoga Workout with Angela. All our workout classes are “go-at-your-own-pace” classes. Rest as needed, modify as necessary. With regular attendance, you’ll be amazed how good you feel. This class is a popular workout class with Gong meditation at the end – you’ll leave feeling regenerated, very relaxed and tension-free. The perfect Monday-after-work class to prepare your for your work week. Stay after class for some of Angela’s healthy snacks! Tuesday, 10:30am – 11:45am, Kundalini Yoga & Gong Meditation with Amrit is a relaxing meditation class beginning with light stretching consisting to prepare for meditation. Meditation is 20 – 30 minutes long followed by a gong meditation for relaxation. Highly suitable for beginners and/or those with back issues, who may sit up against the wall for the meditation with pillows for comfort. Complimentary Essential Oils and tea included in this class. Tuesday, 6pm – 7:15pm & 7:15pm – 8:15pm, Kundalini Yoga and Gong Meditation with Indrajeet Kaur (Susie).This is a moderately challenging class that focuses on energizing your body and mind. Meditation, pranayam and asanas go hand-in-hand in this class, which can variably focus on the yoga sutras, glands, or chakras. As always with Kundalini Yoga, beginners are welcome and everyone is encouraged to go at their own pace, honoring their body and individual fitness level. Wednesday, 9am – 10:15am, Kundalini Yoga Workout with Angela, All our workout classes are “go-at-your-own-pace” classes. Rest as needed, modify as necessary. With regular attendance, you’ll be amazed how good you feel. A workout class with Gong meditation at the end – you’ll leave feeling regenerated, very relaxed and tension-free. Stay after class for some of Angela’s healthy snacks! Wednesday, 12pm – 1:15pm, Kundalini Yoga Workout with Jamie. Go at your own pace, rest as needed and modify as necessary in this rejuvenating class which focuses on building muscle tone, endurance and stamina. Then heal as you release tension and deeply relax with gong meditation at the end. You’ll leave feeling great with a smile on your face! Wednesday, 6pm – 7:15pm, Kundalini Yoga with Melanie is a moderate paced class, incorporating breath, movement, mantra, and beautiful music. From the open, expanded state of the posture work, an 11-minute meditation turns the mind inward and connects you to your Essence. Class ends with a gong meditation for continued healing and deep relaxation. Wednesday, 7:30pm – 8:30pm, Candlelight Meditation with Melanie. Refresh mid-week with warm up stretching and movement, a 21 – 31 minute Kundalini Yoga Meditation, gong relaxation, all while bathed in candlelight. Enjoy complimentary tea following the class. Thursday, 10:30am – 11:45am, Kundalini Yoga & Gong Meditation with Amrit focuses on stress release, relaxation, gently challenging the body to rejuvenate, regenerate and heal. Each class ends with a meditation using mantra and beautiful music and Gong Meditation to heal the parasympathetic nervous system. Complimentary Essential Oils and tea included in this class. Thursday, 6pm – 7:00pm, Kundalini Yoga & Prosperity Meditation with Amrit includes yoga for stress release and relaxation and a different Prosperity meditation at each class. 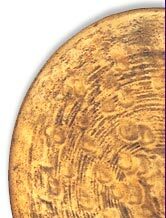 Release residual tension with Gong meditation at the end. Complimentary Essential Oils and tea included in this class. Friday, 6pm – 7:15pm, Kundalini Yoga Workout with Amrit. A great prep for your hard earned weekend, this class releases stress and tension build-up accumulated during your work-week! Beginners, new students and experienced – you are all invited to go at your own pace, rest as needed and modify as necessary. You will renew and build muscle tone, endurance and stamina then, heal as you release tension and deeply relax with gong meditation at the end. Complimentary Essential Oils and tea included in this class. 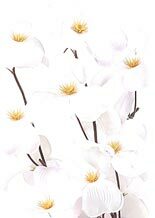 Saturday, 10:30am – 11:45am, Kundalini Yoga, Stretch & Meditate with Amrit is a relaxing meditation class beginning with light stretching to prepare for meditation. Meditation is 20 – 30 minutes long followed by a gong meditation for relaxation. Highly suitable for beginners and/or those with back issues, who may sit up against the wall for the meditation with pillows for comfort. Complimentary Essential Oils and tea included in this class. 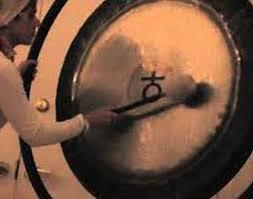 Saturday, 12pm – 1pm, Gong Bath with Amrit – deep, profound and total relaxation and stress release describes this class. Body temperature can drop during deep relaxation so, bring blanket and socks! Begins with warm-up stretches to prepare for relaxation followed by 20 – 25 minute Gong Bath. Gong Bath is a sound massage for the mind and body. This isn’t a loud, banging sound but, a soft shamanic drumming rhythm to sooth your nervous system and relax your brain. Sound washes over you gently enabling deep healing, block clearing, tension release, bringing harmony to your whole body for improved health. It’s common to twitch, realign, even sleep during a sound healing, and have images or feel you are on an inner journey. To maximize the healing effect, before the Gong Bath, add an intention and visualize healing and/or positive outcome for any situation in your life. Complimentary Essential Oils and tea included in this class. Saturday, 6:00pm – 7:15pm, Kundalini Yoga and Guided/Gong/Koshi Chime Relaxation with Sat Bachan Kaur (Jules). Experience physical movement (asana/form), breath work (pranayam), hand positions (mudra), mantra (chanted and resonated), and mind’s-eye visualization towards an organized energy and perhaps a state of greater awareness. Essential oils may be introduced at the beginning and end of class; please let the teacher know if you are scent sensitive. Take 4 – 12 classes a month to start. Build up gradually to unlimited classes. Focus on breathing techniques the first month. Practice at home as often as possible. Respect your body’s limitations! Modify as needed. Pace yourself, rest when needed. Go gently into a stretch – NEVER force. Women: if on monthly cycle, ask your teacher for modifications. If you must stop, maintain the breathing, mantra and focus, you will benefit from the entire group energy. We have a limited supply of mats, blankets and pillows in case you forget. Attire: loose, comfortable clothing, casual, nothing fancy. If you have long hair, it helps to put it up. Refrain from eating heavily before class. If you must eat, keep it light. Attend regularly. Progress is directly related to attendance. Bring a friend, the more, the merrier! Kundalini Yoga, taught by experienced, certified instructors, great for beginning and experienced students! You will relax, rejuvenate and regenerate with Kundalini Yoga, an ancient scientific technology for happiness! You will balance the glandular system, strengthen nervous system, and tap into the energy of your mind and emotions, so you can be in control of yourself, rather than by your thoughts and feelings. Kundalini Yoga impacts all aspects of physical, mental and spiritual being. You will experience better functioning of bodily systems, increased radiance and impact, emotional balance, enhanced intuition, relaxation, well being and elimination of negative habit patterns. You will learn mental focus, breathing techniques, mantras (sound vibration), postures (body positions), mudras (hand positions), and meditation. Beautiful, spiritual music is provided to deepen your experience. Plus, at the end of each class you will relax profoundly with a meditation. Gong Meditation: “The gong is not an ordinary thing . . . Out of it came all music, all sounds, and all words . . . it is not a musical instrument, nor a drum . . . it is a beautiful reinforced vibration . 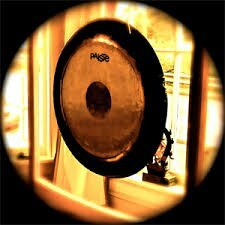 . . it is the only tool with which you can produce this combination of space vibration.” – Yogi Bhajan The sound of the gong creates deep relaxation. 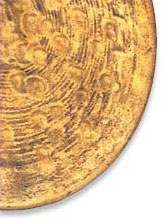 The gong changes feelings that are blocked by cutting the thoughts that sustain and recreate the feelings. To regenerate the parasympathetic system, nothing is more powerful than the gong. All the student needs to do is let the entire body relax and let the sound of the gong penetrate the body and guide the mind. DISCLAIMER: The practice of yoga has benefited millions of people both physically and mentally. It is not intended to replace good, sound medical advice. The therapeutic benefits attributed come from centuries-old yogic tradition. Please consult a physician or mental health professional should the need for one be indicated.